Deans Tree Services is a locally owned and operated company providing tree removal in Sarasota FL and the surrounding area. When you require a skilled tree surgeon to take care of the trees, shrubs and bushes in your yard, give Deans Tree Services a call. We bring over 20 years of experience to each job and you can trust our arborists to provide a high level of tree removal, stump removal and tree trimming services. If you are looking to get a tree removed in the Sarasota city limits, you may need to get a tree removal permit before work can be started. Be sure to read through the “Tree Permit Requirements” here. The weather around Sarasota can change pretty quickly with the occasional afternoon storms that seem to be followed by the heat of the summer days. This combination of weather can cause your palm trees, oak trees and other foliage on your property to grow quickly and require frequent trimming and maintenance. If trees are not trimmed by a professional then the result could mean overgrown tree branches which will become weak. During thunderstorms, tropical storms or the remanence of a powerful hurricane can cause the weakened or dead branch to break off. This places everything from the powerlines, your home, your car and even your family to be at risk. Tree trimming will reduce these risks and help keep your trees healthy and strong. Deans Tree Services has the skilled employees to trim your trees appropriately. Taking advantage of this service means you are minimizing the chances of a having a dead or dying tree on your property that requires removal. Fully removing a tree as well as the stump is a much costlier expense than annual tree trimming. 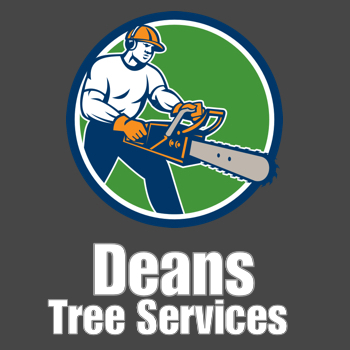 If you do require tree removal in Sarasota FL, you can depend on Deans Tree Services. Call us to learn more – (941) 234-9525. Quality and reliable tree trimmers and tree service specialists in Sarasota FL will be licensed and insured, and should be able to prove a solid reputation. The residents and commercial property owners we have performed our services for have recommended us to their friends and family and we are fully licensed and insured. We feel that our emphasis on customer satisfaction and safety leads to excellent work. When you use our crew, we are confident you will be happy with our tree trimming, tree removal and stump removal services. We believe customer satisfaction is key and we will go to great lengths to ensure you are happy with the look of your property. We are committed to safety. Our crew is well trained and uses top notch equipment to tackle any tree service job at your home. After listening to your needs, we will provide an estimate of everything we intend to do and set expectations including what you would owe upon completion; no added fees. We respect your property and we work diligently to minimize the impact of the tree removal; we leave every job site clean and free from debris. Trees in the Sarasota FL area vary considerably in the look, the growth patterns and the difficulty in maintaining them. This means there is no single method for tree trimming or tree removal. We approach every job with the intention of providing individual care for the trees, shrubs and bushes at your home or business. If you require tree removal services then give us a call to schedule an appointment. We will come out and visit your property so we can see the extent of the job and provide you with an honest estimate. When it comes to removing a tree, there are two separate jobs that need to be done. Along with removing the tree, stump removal is the second part of the process and requires a different set of skills, equipment, and even cost. When searching for a tree service company, make sure they give you the costs for both tree removal and stump removal. Most of the time removing a tree is completed within a few hours and, unless you have a unique circumstance, the job rarely exceeds one day. We often will start early in the morning so we can complete the job for you on the same day. If a storm has damaged a tree and you need emergency tree removal services, the dedicated crew at Deans Tree Services is here for you. We are a professional and highly-skilled crew who can remove a tree safely and ensure there is no damage done to the structures around your home. If you are looking for tree removal services and you want a company that has a proven track record of dependability, safety and great customer service, contact us to learn more. Give Deans Tree Services a call if you need tree removal services in Sarasota FL – (941) 234-9525.